Shopping for Back to the Future T-Shirts? 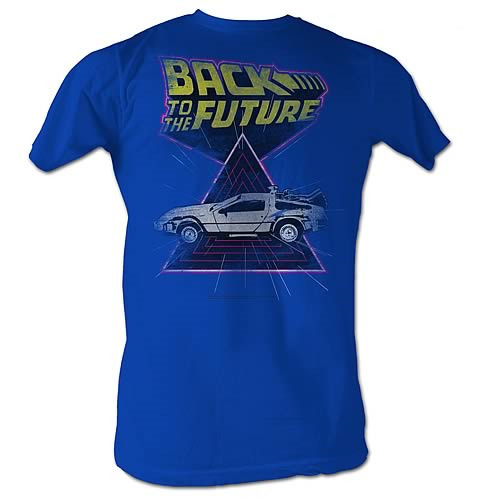 Wear some retro style with this Back to the Future Speed Demon Blue T-Shirt! Featuring retro-style drawings of both the Back to the Future logo and the signature time-traveling DeLorean in front of a spacey triangle, this t-shirt is far out! Buy yours today!